Think Thursday: Block Negative Thoughts! Do not give way to anxiety, concern, distress and uneasiness. Instead, allow your mind to be at ease. Relax, remain calm and stay positive. expect positive outcomes or results. 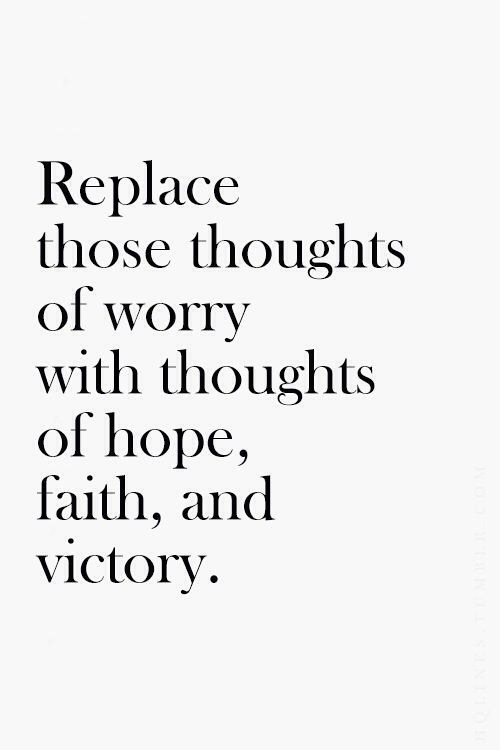 Block the negative thoughts that try to contain your mind and replace them with positive ones…embrace thoughts of hope, faith and victory! Easier said than done I know…but you can start with turning your worries into prayer! « Beauty Edition: Kiss Me Balm!